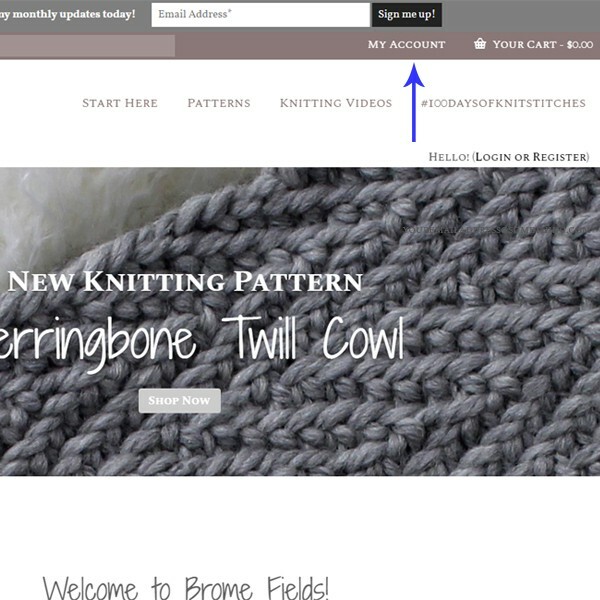 To access your free and purchased patterns. You always have access to the newest version! 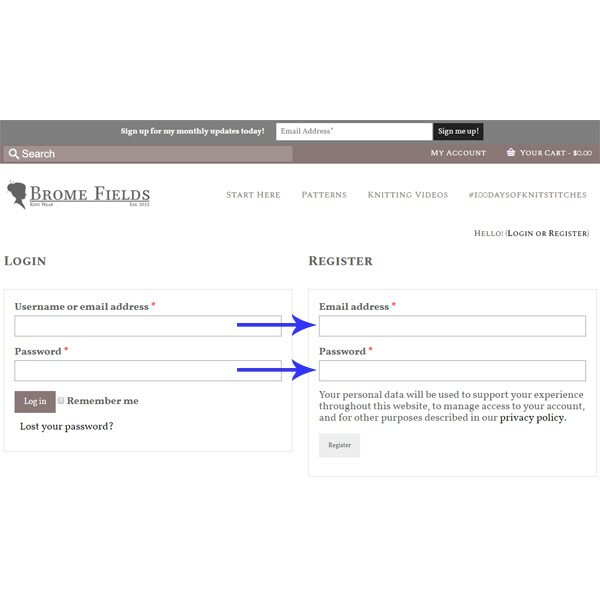 Set-up an account in 2 easy steps! Under Register, fill in your email address and create a password. The password needs to be 12 characters. PS. This does not subscribe you to any email lists. PPS. I do not share your information with anyone. The next page is your account Home page. It's where you'll find your downloads, order history, receipts and where you can edit your account info. If you’d like to delete your account, please send me a message and I will delete your account, no questions asked.